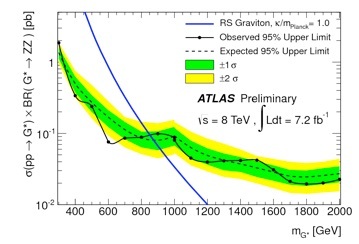 The ATLAS detector is an experiment designed to take full advantage of the very high energy and high luminosity proton-proton (and heavy ion) collisions in the Large Hadron Collider at CERN. 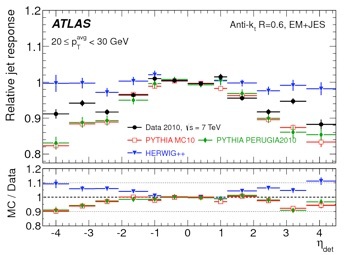 With the ATLAS detector, physicists measure Standard Model parameters to very high precision and study the properties of the newly-discovered Higgs boson in a range of decay modes. Searches are underway for new physics phenomena such as dark matter, extra dimensions, quark compositeness, supersymmetry, and other new particles. 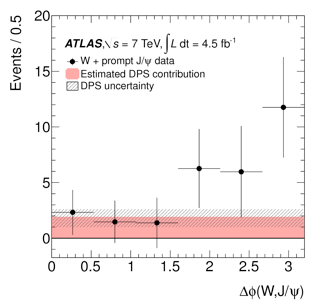 ‣QCD and electroweak physics measurements (jet and dijet production, di-lepton and di-photon measurements, Vector Boson Fusion W/Z, Diboson production, underlying event). Manchester has provided conveners of the Soft QCD sub-group (James Robinson, 2014–present; Andy Pilkington, 2011–2012) and the Electroweak physics sub-group (Alex Oh, 2011–2013). 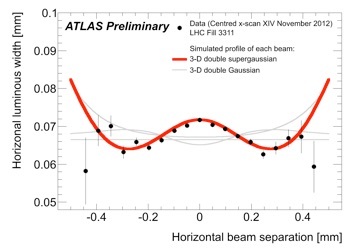 ‣Higgs boson searches/measurements (Higgs→di-photons search and first differential cross-section measurements, ttH associated production). 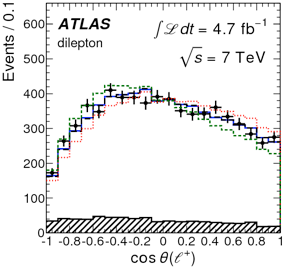 ‣Top-quark measurements (various top quark production and properties measurements, boosted ttbar phenomenology, colour flow in ttbar events). Manchester has convened the Top cross section group (Mark Owen, 2013–2014), Top reconstruction group, (Mark Owen, 2012–2013). 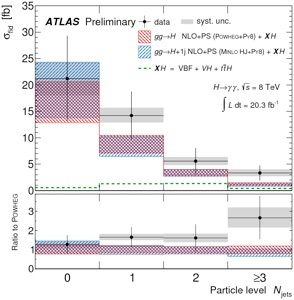 ‣Quarkonium and b-production measurements and searches (production cross-section measurements, new quarkonium states, double parton interactions, heavy flavour modelling). Manchester has convened the B-Physics group (Darren Price, 2014–present) and Quarkonium and b-production sub-group (Darren Price, 2010–present). 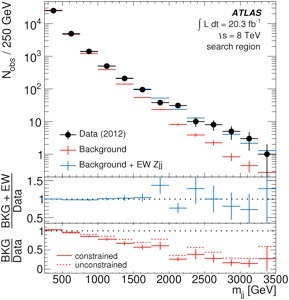 ‣Searches for new physics phenomena (Gravitons, W-primes, doubly-charged Higgs bosons, anomalous Invisible Higgs production, low-mass Higgs extensions, anomalous boson couplings, sterile neutrinos, Dark Matter searches). 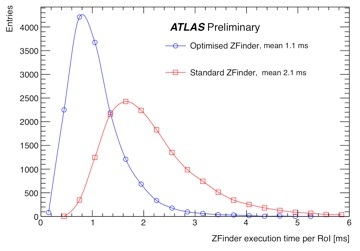 Manchester has significant involvement in the development of future ATLAS pixel detectors. Group members include the UK tracker upgrade pixel-mechanics WP manager (Jo Pater, 2013–present), the 3D silicon pixels WP coordinator (Cinzia Da Via, 2009–present), and Alex Oh, who is a recognised world leader in 3D diamond detector development. 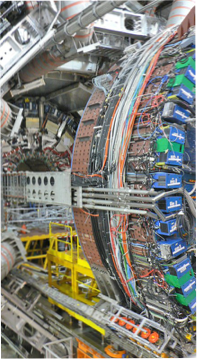 Manchester group members lead work on the Inner Detector trigger (Jiri Masik, 2010–present), Muon trigger (Alex Oh, 2010–2012) and B-trigger (Darren Price, 2010–2012) menu design, algorithm development, performance, and efficiency measurement. Manchester also contribute to management of ATLAS trigger operations (Alex Oh, 2013–present). 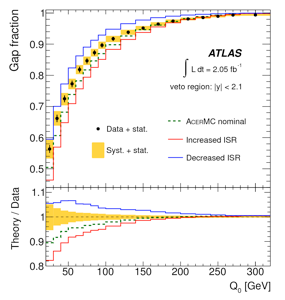 Measurement of muon reconstruction efficiencies in Data and Monte Carlo, comparison of various muon reconstruction algorithms and extension of efficiency reach to low (>2 GeV) transverse momentum. Manchester plays a key role in the development and optimisation of Inner Detector track trigger algorithms. Manchester has been heavily involved in eta-dependent jet energy scale calibration since first data. The group developed the first forward jet systematic uncertainties in 2010 and ongoing efforts are underway to reduce these uncertainties for current and Run-2 data. Manchester physicists coordinate the Monte Carlo validation efforts (Christian Schwanenberger, 2013–present). Manchester plays host to a Tier-2 grid centre. Group members have management responsibilities within the WLCG and as ATLAS monitoring coordinator (Alessandra Forti, 2013–present).